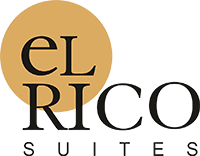 El Rico Suites is a small boutique hotel and apartment building that offers convenience partnered with comfort and affordability. Located near Makati’s Central Business District, El Rico Suites is minutes away from business, entertainment and commercial centers. With only 42 rooms, El Rico Suites can give the personalized service that is often lost in large establishments. All rooms are spacious and fully equipped with the comforts of modern living: cable tv, telephone with IDD/NDD access, air-conditioning, hot and cold showers, and tasteful furnishings. Complimentary WIFI is also available in the lobby as an added amenity. Please fill up the form below to inquire about vacancies or reservations and we will reply as soon as possible. Or you can email us directly at the address above.